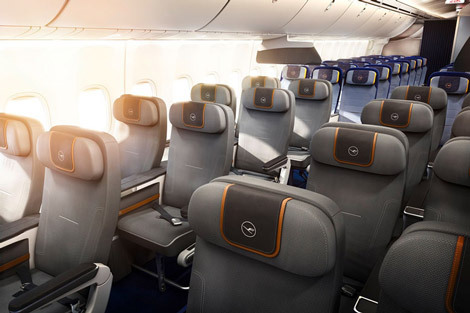 Lufthansa has completed its four-year long-haul cabin refurbishment programme. The German airline has fitted all 106 of its long-haul aircraft with new business and economy cabins, while the new first class cabin has been installed on 76 aircraft. Although premium economy seats are still being fitted, Lufthansa said that every aircraft in the air now features its new cabins. Since 2011, the carrier said it has invested circa €1.5 billion in the modernisation of its fleet. Lufthansa Technik has “exchanged, modified or installed around 39,000 seats in an unparallelled refurbishing program [on its] long-haul aircraft”. This has resulted in 600 new seats in first class, 7,000 in business and more than 27,600 in economy. The airline has nearly completed installing 3,600 of its new premium economy seats on long-haul aircraft; work is scheduled to finish next month. Lufthansa first unveiled its fully-flat business class seat, which debuted on its B747-800 aircraft, in 2012 (see news, March 2012). 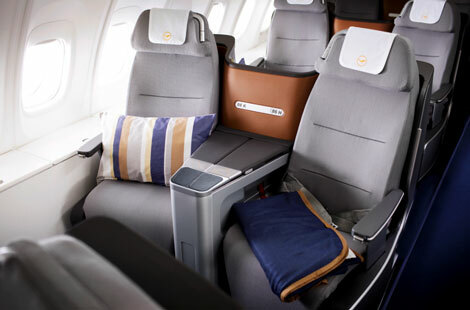 In May, Lufthansa announced that it had installed premium economy on half of its long-haul fleet (see news, May 12).